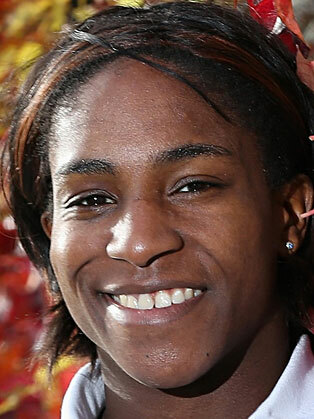 Before announcing her international retirement in 2014, Maggie Alphonsi represented her country an impressive 74 times, scored 28 tries, and helpedEngland win a record breaking seven consecutive Six Nations crowns. She wasalso a crucial member of the team that won the 2014 Rugby World Cup for thefirst time in 20 years and was part of the team that was crowned the BBC’s Sports Personality Team of the Year. Through her England rugby career she has become a household rugby name but also a media professional, commentating on live rugby matches for SKY Sports and the BBC, as well as featuring on a number of national media platforms, including outlets as diverse as the Sunday Times, Stella Magazine, the Sun and BBC’s Children in Need (Gareth Malone’s All Star Choir). Most recently, she was part of ITV’s Rugby World Cup broadcast line-up. Her inclusion made her the first ever former female player to commentate on men’s international rugby. Maggie is also an excellent speaker, and is well qualified to share her experiences. Certainly when she shares those experiences, you don’t need to be a rugby fan to be interested or inspired by how she has become a prominent figure in the challenging world of a male dominated sport. From South East London, Maggie has taken her education as seriously as her rugby obtaining a MSc in Sports & Exercise at Roehampton University, a BSc in the same subjects at De Montfort University and a BTECNational Diploma in Leisure Studies at Hertford Regional College. Additionally, she has been awarded a Honorary Doctor of Arts from the University of Bedfordshire. Her speaking topics include: leadership, understanding pressure, the psychology of winning, transferring skills, pressure management, working in a male environment and challenging perceptions.